Relax and Unwind with Colouring Books for Grown-Ups! Do you ever come home from a stressful day in the office and just wish you could escape grown-up life for an hour or two? Perhaps going to the gym or watching The Great British Bake Off isn't quite de-stressing you as much as it once did. I have no doubt that many of us would love to revisit our childhood days where we didn't need to worry about money, work or the general gripes of everyday life (although I vividly remember at the time thinking how stressful junior school was - oh what I'd give to go back now!) Taking the (adult!) nation by storm are, and you can choose to believe it or not, colouring books for grown-ups. Millie Marotta's Animal Kingdom is currently at number 2 on the Amazon Best Sellers list. If you take a look on the Amazon Best Sellers list, you'll almost certainly find a grown-up colouring book listed high up there. 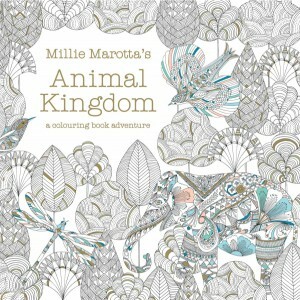 Today ( on the 10th September 2015) Millie Marotta's Animal Kingdom - A Colouring Book Adventure is featured as number 2, having been in the Top 100 for a whopping 253 days, closely followed by Millie Marotta's Tropical Wonderland featured at number 11. Using colouring pencils, felt-tip pens, crayons etc to colour in pre-designed outlined pictures isn't exactly something that has recently come about; but it certainly is when you associate it with adults. So why exactly have these colouring books become so popular? 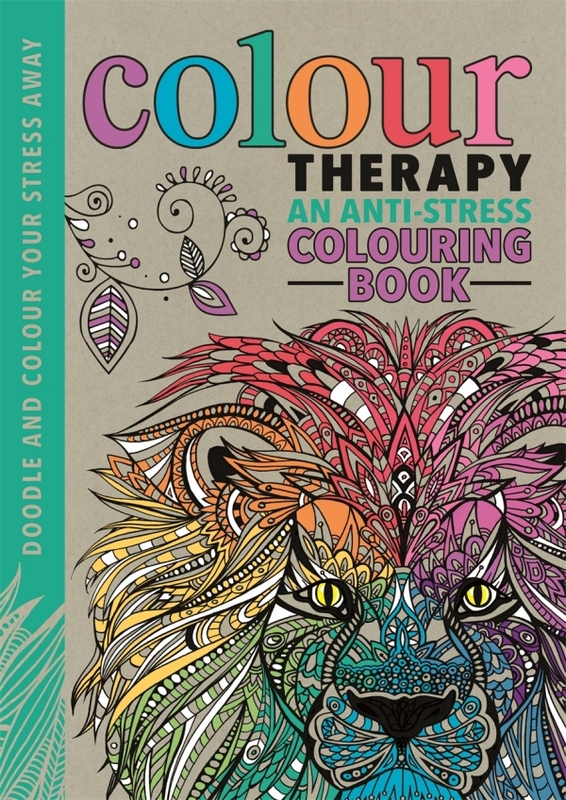 Colouring in books for adults prove to be calming and help to ease stress. Colouring in very intricate designs requires the brain to really focus on what it is doing, allowing you to totally switch off from the outside world, whether it be for five minutes or 4 hours each day so that you can forget what might be causing you stress, anxiety or worry. It is both a therapeutic/relaxing but also creative task, engaging your brain to work out what colours should be used in which spaces. 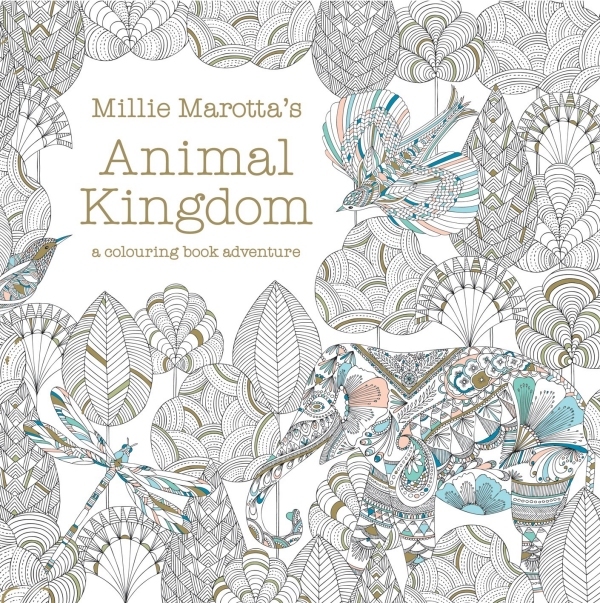 We understand that colouring books for grown-ups isn't everyone's cup of tea, or you simply might not be totally convinced yet.. but if the stresses of life are taking their toll on you why don't you just give one of Millie Marotta's colouring books a try; Tropical Wonderland and Animal Kingdom are both available to buy in store at Longacres Shepperton (and coming soon to Bagshot! 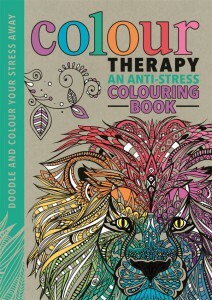 ), as well as The Mindfulness Colouring Books by Emma Farrarons and Animorphia by Kerby Rosanes. Prices range from just £5.99 to £12.99 per book - a small price to pay to bring a bit of calm and peace to your life; you may even discover a creative mind you didn't realise you had!